You know that free 3G connection on your Kindle that lets you download books from anywhere you are? 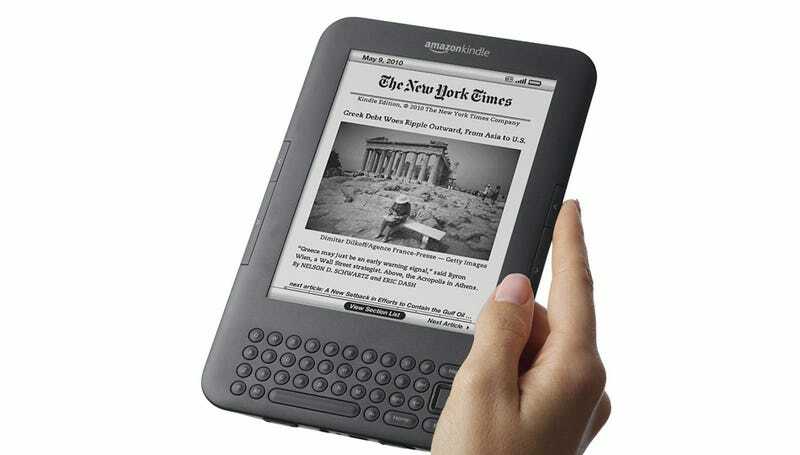 Well a hacker named Andrew D'Angelo has found a way to tether to the ereader giving you free internet access on another device. Don't get too excited, though, there are a few caveats to the hack. For starters you'll need an older Kindle Keyboard with 3G service that's been jailbroken so you can run a USB network hack. Once it's then connected to a computer via USB you just need to configure your DHCP and browser settings accordingly, as outlined on his site.